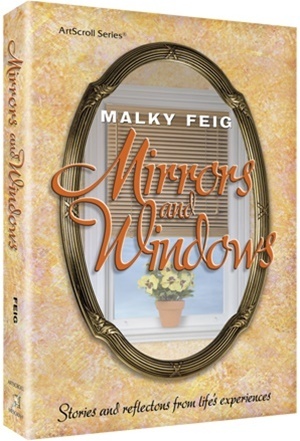 Malky Feig is a marvel. She looks through the windows of our experiences and - with uncommon sense, sensitivity and humor - puts a positive spin on the perplexities, dilemmas and frequent silliness of everyday life. Thousands of men and women devour her weekly essays in the Yated Ne'eman, often asking themselves, "How did she know what's going on in my life?!" This is a book to read for sheer pleasure. And if Malky Feig's comments improve our lives (as they will) so much the better!